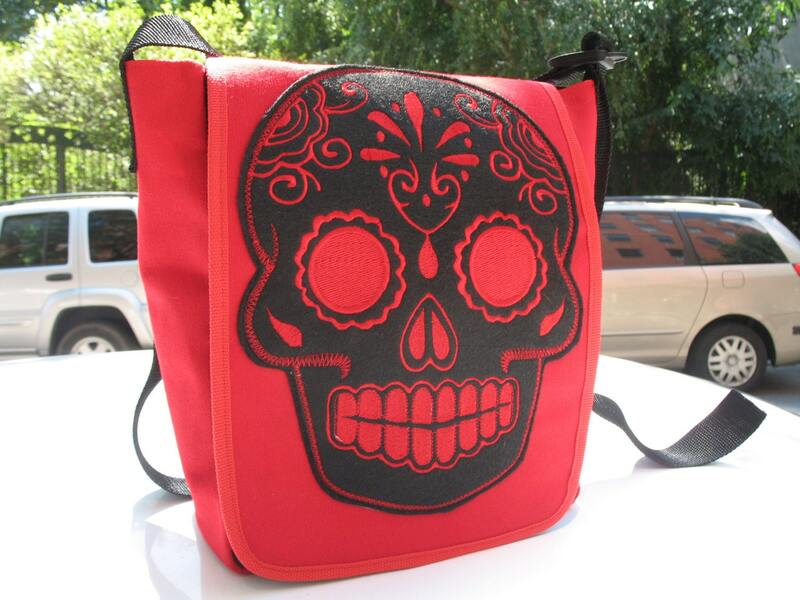 We are always inspired by sugar skull designs and with this bag we appliquéd a large red on black sugar skull patch onto our messenger style Day Bag. The "Day Bag" is the perfect size for the person who wants to travel light. Large enough for all your essentials but small enough to prevent you from carrying too much. The interior features one pocket and there is a larger pocket under the exterior flap. The flap adheres to the body of the bag with a Velcro closure ensuring your belongings stay safe. there is a 1.5" black poly pro adjustable webbing strap so you can wear the bag cross body or over your shoulder.